Guided tour at the headquarter of Wärtsilä Italia S.p.A.
On 30th June 2018, Advanced Master’s students was given the great pleasure to visit Wärtsilä’s factory. 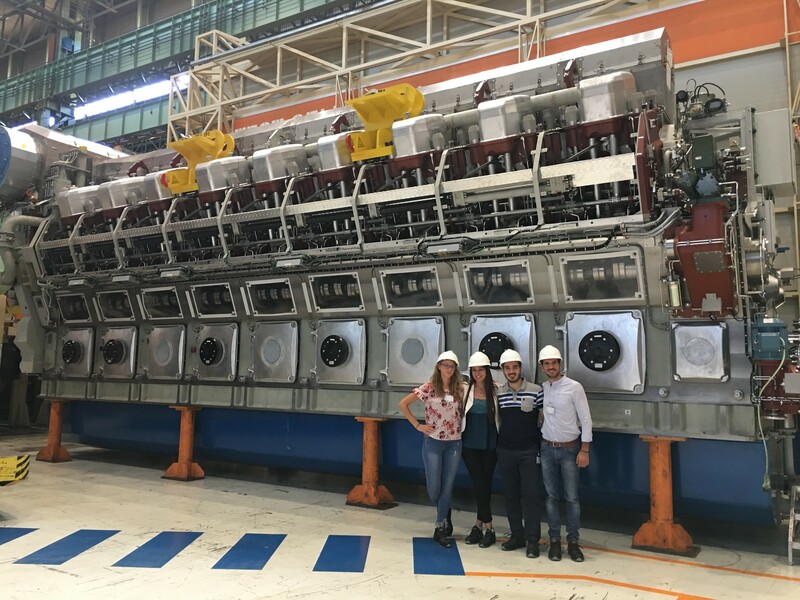 The visit was led by the Operational Excellence Manager, Valentina Colaiacolo, who showed students the engines’ production and assembly phases. Thanks to her experience and skills, students had the opportunity to merge into a reality where safety rules, organization, control and study of production data as well as research and continuous changes in order to improve quality and working times are the cornerstones of this world-renowned company. Even though in recent years the company has undergone significant changes, such as the downsizing of the spaces used in order to create a single production center or the use of increasingly refined machines which deeply reduce the percentage of human error, Wärtsilä has an extreme ability to adapt to changes. Students realized that this feature, for which also an internal awareness campaign has been promoted, is an extremely important factor to face market competition.